The team of outdoor living experts at SRA Home Products is pleased to offer a wide selection of pergolas to homeowners in the Mullica Hill, New Jersey, area. We understand that our customers don’t want some cookie-cutter model that resembles every other one on the street — they want to design a structure that will match their home and their personal tastes. That’s why we’ve made it our goal to provide our customers with a wide array of customization options. When you have one of our pergolas installed at your Mullica Hill, NJ, area home, one of the first things you’ll need to decide on is the type of the pergola to be installed. 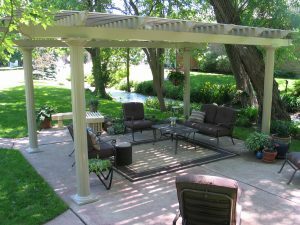 We offer pergolas in four models: attached, freestanding, garden arbor, and operable. 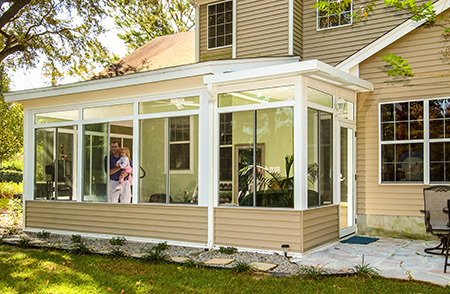 True to their name, our attached pergolas connect directly to the side of your home, making them ideal for covering an adjacent patio. 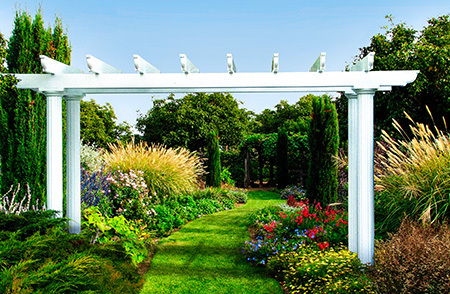 Our freestanding and garden arbor pergolas offer added versatility, as they can be installed almost anywhere on your property (the garden arbor stands apart because it features an open beam design ideal for climbing vines). And last but not least, our operable pergolas feature a slow-motion motor with a 500-pound push/pull force that allows you to transition between open louvers and a closed roof at the touch of a button. For more information about the pergolas we offer to Mullica Hill, NJ, area homeowners, please contact SRA Home Products today. When you call, one of our friendly team members will provide you with additional information about our pergola selection and answer any questions you may have about our products and our design and installation process.